Ray Dillon on Random!! 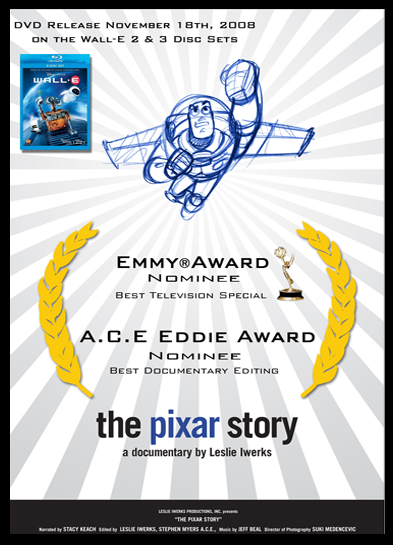 : "The Pixar Story" Documentary Movie! "The Pixar Story" Documentary Movie! Found this very inspirational & motivational documentary on Netflix Instant and despite coming out in 2008 I'd never heard of it and it seems quite a few others haven't, so I wanted to share it with you. Fantastic look behind the scenes and seeing the struggle and insane hard work they put in to accomplish something miraculous! The first in-depth look at the most influential animation studio of its time, The Pixar Story goes behind the scenes of the groundbreaking company that pioneered a new generation of animated feature films. Iwerks uses never-before-seen footage from the Pixar library, along with historic archival animation and first hand accounts by animators, studio executives, directors, producers and voice performers to chronicle the remarkable company that revolutionized an industry. 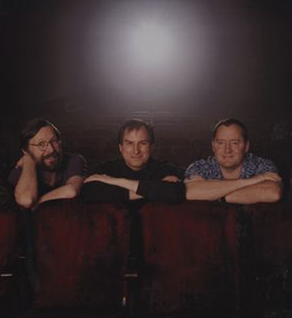 The Pixar Story includes exclusive interviews with some of the key players in the Pixar story including John Lasseter, Ed Catmull, Steve Jobs, George Lucas, Michael Eisner, Bob Iger, Tom Hanks, Billy Crystal, Tim Allen, Brad Bird and more. MOTIVATION: Bruce Lee's Letter to Himself! Todd McFarlane Art Lesson Videos! Goodbye to our dog, Indiana Jones!